Do you need to find stuff on your computer? HFinder is for you! 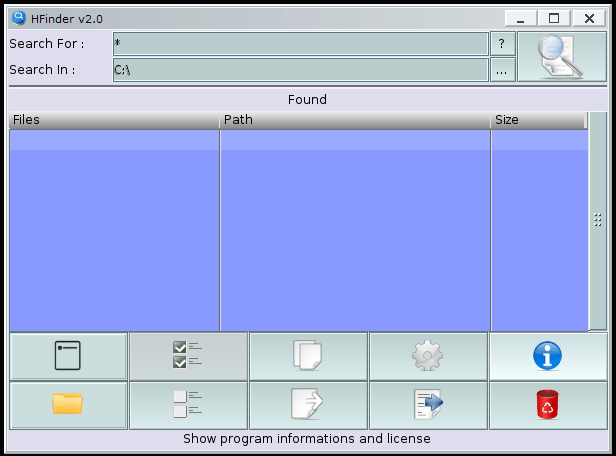 This program is a little tool to search files on your computer, matching results will be showed in a list and you can select results to perform some basic operations like copy, move and delete. You can also export the results list into a text file for further operations. This tool is free and was developed using Hollywood and HGui. Have a look at the HFinder page for further details! Available for Linux (ARM – Raspberry Pi, PPC, x86), Windows, AmigaOS3/4, MorphOS, AROS x86, Mac OSX PPC/Intel, WarpOS. Next Post Next post: Slider, Canvas, ListView : Another HGui status update.